If you read my last post you know how to attend a college fair. 2. Use this as an opportunity to develop a relationship. Colleges often give preference to students who have shown an interest in attending. The college lingo for this is “demonstrated interest.” Students can demonstrate interest in many ways, such as when they visit, take a tour, talk to a professor, attend a college fair, or get to know their college rep. If you’re interested in the school, get the rep’s contact information. You can contact him or her later in the process if you have questions. 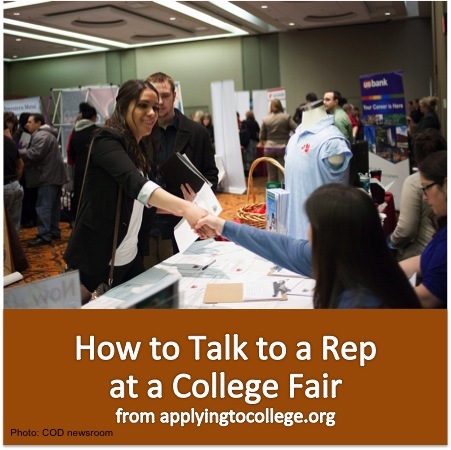 It’s also possible that you’ll meet the rep at another college fair or when you visit the college, in which case you want to make sure to say hi. Developing a relationship can give you an edge when you apply, because the school will know you’re really interested. Jot down a few questions before you go to the fair. Create your questions from these categories: academics, admissions, financial aid, and housing. Do you offer early decision? Do you accept advanced placement courses? What is the average high school GPA of the entering class? What are some of your strongest academic programs? Do you offer the major(s) I’m interested in? Is there an honors program? What are the requirements? How many undergraduates attend your school? Do professors teach undergraduates or will I have mostly teaching assistants? Are faculty members easy to reach outside of class? What is the total cost of attending your school for a year? What is the average financial loan package? How many students receive financial aid? What sports or other events are popular on campus? Are there fraternities and sororities? How strong are they? What percentage of your students graduate in four years? What kind of support do you offer for students with special needs? 5. Don’t wait on long lines. Skip the most crowded tables. Make a note on your map to come back later, when the lines are shorter. 6. Don’t hog the rep. This tip comes from Matthew Dempsey, who is a college admissions officer at Fairfield University. Matthew says he loves answering questions, but he has a limited time to meet and talk to people at college fairs. So if you (or your family) have a lot of questions and there’s a line behind you, say hello but come back later in the fair when the rep isn’t as busy and will have more time for you. 7. Let your parents listen. Parents will often have follow-up questions for the rep, especially about financial aid. 8. Say thank you. Make a point to end the way you began: smile, shake hands, and say thank you. You’ll make a great – and memorable – impression. 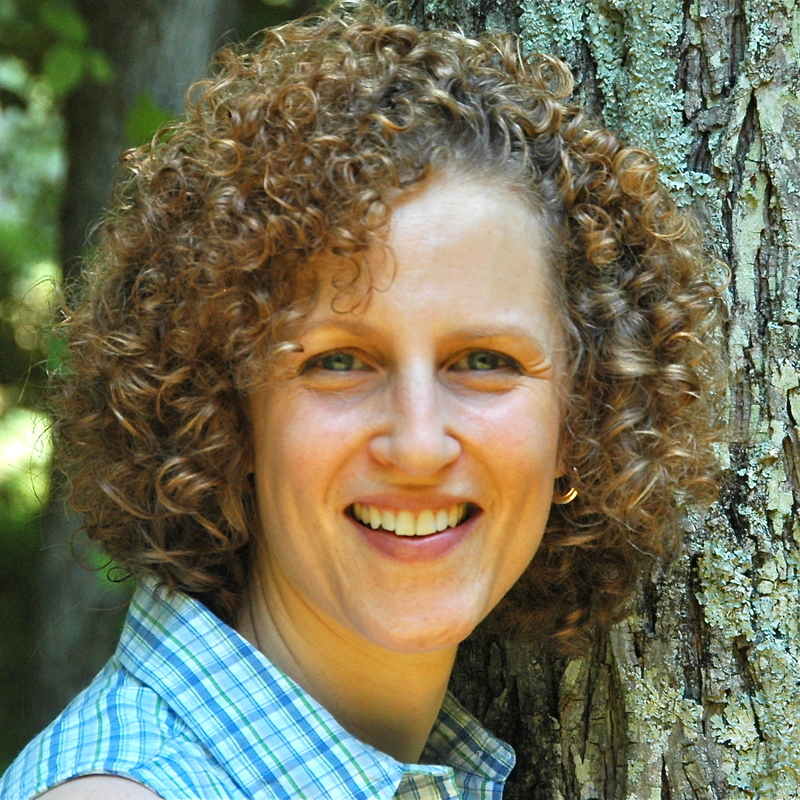 Sharon Epstein is owner of First Impressions College Consulting. A Writers Guild Award-winner and two-time Emmy Award nominee, Sharon teaches students how to master interview skills, write killer resumes, and transform goals, dreams and experiences into memorable college application essays. She works with students everywhere: in-person, by phone, Skype and email. Visit her website for more information. Connect on Google+, Pinterest and Twitter. Categories: College Admission Information, Conducting a College Search | Tags: demonstrated interest, How to talk to a college rep, questions for a college rep at a college fair | Permalink.